USER208, 22 Nov 2015This phone is awful: 1. Sometimes it turns off with no reason. 2. It is extremely slow. 3. ... moreno this phone nokia 208 is far from piece of junk,for a feature phone it is one of the best,but your right it is not a smart phone,so pay the money and get yourself. Anonymous, 18 Feb 2019os s40 on nokia 208 301 515 not compatible anymore for whats app,shame there great phone,s,Thanks to facebook,s ''whatsapp''they has stopped the compatiblity with all nokia handsets using the operating systems s40 and s60 which nokia have sold well over 1.5 BILLION of,207 208 301 515 and many more models,people in the developing and first world will no longer be able to commuicate through whatsapp with friends and family with nokia,s affordable and well built 3g handset,s with a great op systems will now become obsolete and end up in landfill. nokia 208 is a 5 star phone if you just want to use it for making calls and excellant for texting with easy to use keypad,thick font for easy reading,op system is the great s40, nokia sold over 1.5 billion phone,s with this easy to use system,if your not looking for a smart phone i reccomend this phone, unfortunately nokia stopped making phone,s like(there down fall) this for people who just like a easy to use standard phone that fits in your front shorts pocket without breaking screen,s,i brought a nokia 3310(crap) replacement it lasted a week and ended up buying a second hand 208 on gumtree,i hope nokia will wake up again and bring a 4g version of this great phone. Luke, 11 Oct 2018Hi all, Can someone help me, which one is better, Nokia 208 or Nokia C5 5MP? Thanks. 'Nachum37' has answered this question very well over on the comments about the 'Nokia C5 5MP'. I'm going to say overall the Nokia C5 5MP is the better device - if you can get your hands on one. I generally prefer featurephones myself, but I think the C5 is the better built device. Compared to earlier Nokia featurephones, the Nokia 208 has a poor speaker (for music/video), and the camera is poor. I'm using a Nokia 208 at the moment after breaking my Nokia C2-01 :( - it feels like quite a downgrade in a number of aspects. The Nokia 208 might be a bit snappier around menus than the C5, I'm not sure. 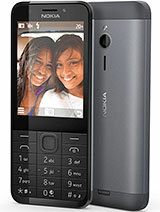 Can someone help me, which one is better, Nokia 208 or Nokia C5 5MP? Macbeth, 12 May 2018In the UK, the Nokia 208 was only available on the Vodafone network. It is really rare to find... moreI bought te phone on pay as you go and because has it as a safety tool it was cut off how can I get it unlocked and get my money back or continue to use it myself still on pay as you go Can anyone help we are pensioners and my wife is not computer litterate. In the UK, the Nokia 208 was only available on the Vodafone network. It is really rare to find one that's unlocked and even rarer to find one not branded to Vodafone. Will the Nokia 208 work on 4G network? can this phone run 'jar' apps directly from memory card without installing? Guru , 07 Jun 2017100% you can use whats app in this handset......! !Yes there is WhatsUp on this phone but you cannot use it for calls. Only for messages and you can exchange 10 sec sound clips. Anonymous, 07 Jun 2017I bought this phone, it's good and what's up is working, no freezing or what so ever, but i do... moreHahahaaa... You bought it with Marshmallow or Lollipop??? Guru , 07 Jun 2017100% you can use whats app in this handset......! !Can you make what's up calls? Total of 680 user reviews and opinions for Nokia 208.